​McCLELLAND CONCRETE PUMPING provide safe, professional, reliable concrete pumping hire services for residential, commercial and civil projects in the Toowoomba, Dalby & Surat Basin regions. We are based in the garden city of Toowoomba and the Western Downs town of Dalby, and are members of the Concrete Pumpers Association of Australia Inc.
​Our reputation and our customer base have been built on a trusted reliable service - that's why we get clients coming back to us time and time again. McClelland offers a complete range of mobile boom pumps for servicing a variety of pumping applications and sites. With 5 boom pumps ranging from 28 to 42 meters in size we have the ability and flexibility to accommodate both small and large pours. We can supply additional pipeline and linesmen as required. Our personalized approach to customer service combined with equipment that is both modern and reliable allows us to stand firmly ahead of our competition in delivering a superior, reliable service. Together with our experienced concrete boom pump operators, we have everything you need for a comprehensive concrete pumping service, effectively meeting your demands on time, no matter how big, small or diverse the job may be. McClelland use a reliable well maintained Transcrete P60 line pump. Our line pump covers a wide range of work and it is used in every day applications for small jobs or in the case of where one of our boom pumps would not fit or reach. McClelland complete our concrete spraying or "shotcreting" jobs with a high degree of professionalism and efficiency. We take pride in our work ensuring our customers works are finalized as quickly as possible without loss of accuracy. 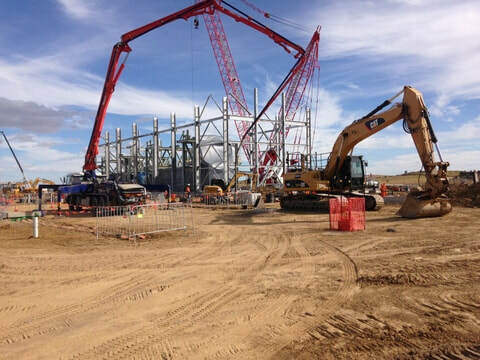 McClelland Concrete Pumping has an excellent track record in servicing large scale, long term project work within the Mining, Energy & Infrastructure Sectors throughout the Surat Basin. We have highly experienced personnel and extensive experience in tailoring solutions to ensure efficient placement of concrete. Please see our projects page to view the sites we have contributed to. 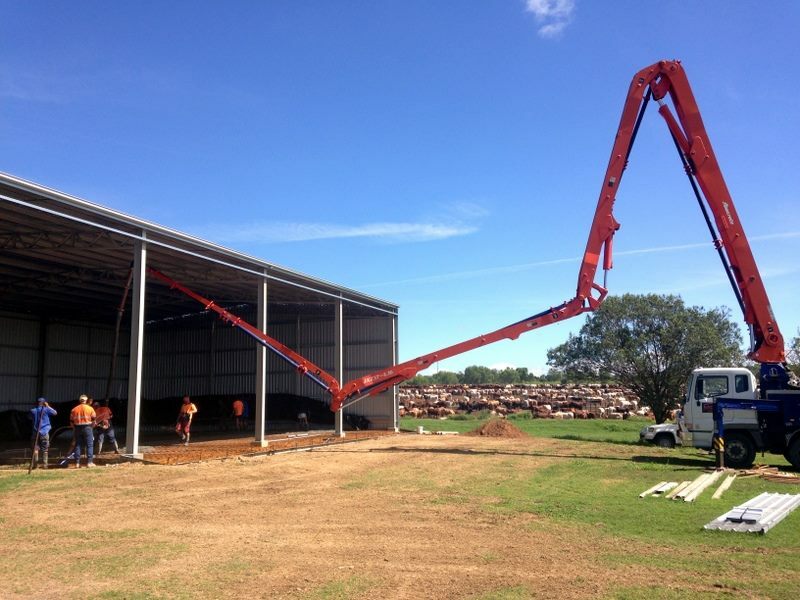 ​If you are looking for trusted concrete pumping hire services in the Toowoomba, Dalby, Surat Basin, Western Downs, Chinchilla, Miles, Highfields, Cabarlah, Lockyer Valley, Withcott, Gatton, Pittsworth, Warwick, Southern Downs and surrounding areas, you've come to the right place with McClelland Concrete Pumping. ​With extensive experience in the concrete pumping industry, you know that you're choosing a name you can trust!